Linda Avery, 57, from Plymouth, claimed she could not cut her own food, but was caught running her Collie around rings at Crufts. 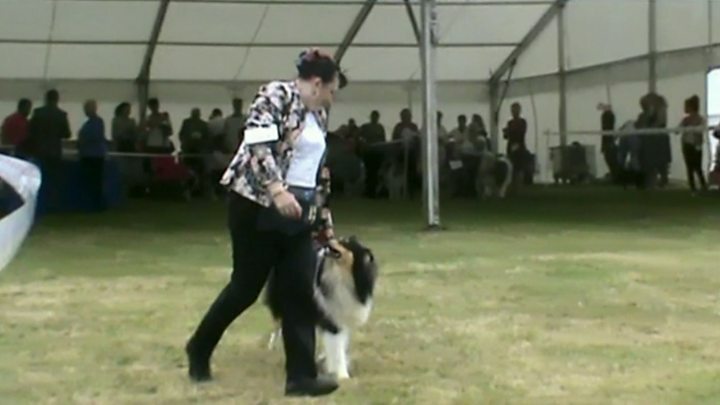 The Department for Work and Pensions spotted a Facebook photo of Avery at the dog show in 2015. They then filmed her at another show in Paignton, Devon, in 2016. Sentencing Avery to 100 hours of unpaid work and 20 days of rehabilitation requirement at Plymouth Crown Court, Judge James Townsend said Avery had been "entirely dishonest". Details of Avery's health problems were vague, but while claiming the highest rate of Disability Living Allowance she said that her daughter had to cut her food for her, she couldn't communicate with people, and that she needed constant care in case she fell. In August 2016 she was filmed at the Paignton dog show by investigators at the Department for Work and Pensions lifting her pet off a platform and running alongside it. Judge Townsend told Avery that while some period of her claims was genuine, there was "overwhelming evidence" that her circumstances had changed. "It must have been obvious to you," he told her. The repayment of fraudulently claimed funds will be agreed at a Proceeds of Crime hearing in August. A spokesman from the Department for Work and Pensions said only a "small minority" of people claiming benefits are dishonest. "Cases like this show how we are catching those who cheat the system and divert taxpayers' money from the people who need it. The department said it catches benefit cheats through tip-offs, surveillance and working with local councils.